Apple continued an accelerated worldwide rollout of its in-house payments service Apple Pay on Tuesday with a debut in France, the eighth major market to gain compatibility since launch. As noted by local blog iPhone Addict, Apple announced Apple Pay availability through its regional website early this morning. In France, Mastercard and Visa credit cards marketed through Banque Populaire, Caisse Epargne, Carrefour Banque and Ticket Restaurant can be provisioned through the service, with upcoming support slated for Boon and Orange. Apple lists 15 major chains as participating retailers, including its own brick-and-mortar stores, with future support promised from Boulanger, Orange and department store Galleries Lafayette. Todays launch comes less than two weeks after Switzerland gained Apple Pay support earlier this month, and about a month after Apple revealed progress toward a French debut at this year's Worldwide Developers Conference in June. Since its U.S. introduction in 2014, Apple Pay has expanded to Australia, Canada, China, Singapore, Switzerland and the UK. In an interview earlier this year, Apple Pay chief Jennifer Bailey said the company is currently focused on an aggressive rollout in Europe and Asia, but the goal is to bring the service to every major market in which Apple products are sold. 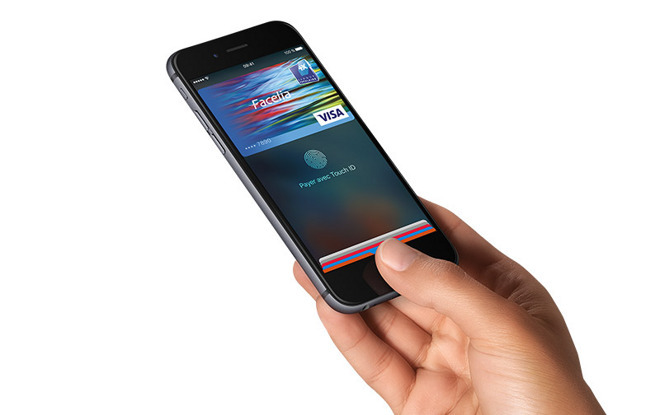 Hong Kong is expected to be Apple Pay's next launch market.